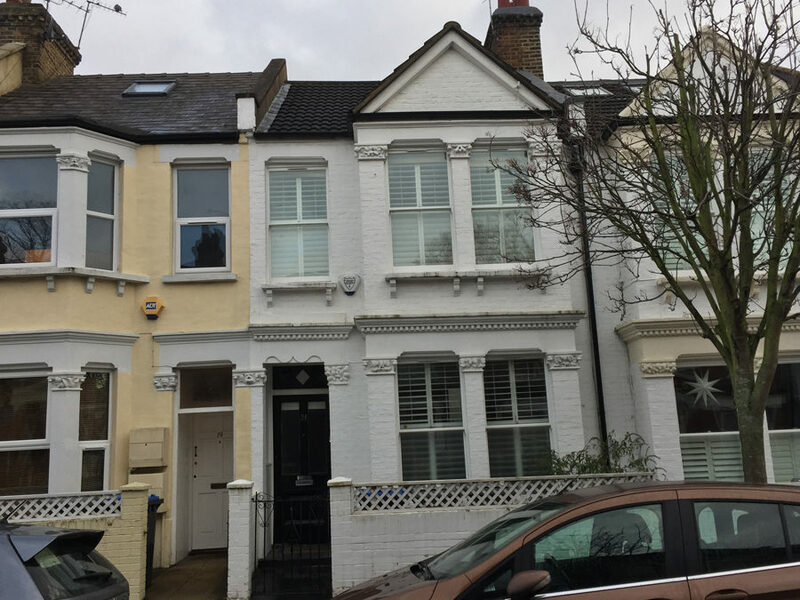 This single family terraced house in Kilburn is actually just around the corner from two of our projects – 0401 and 0227. It was a pleasure working on this project. We extended this property to the side and moved the kitchen into the rear reception room – which has increased the size of the open plan sitting-dining-living-kitchen area a lot. The front reception room remained unchanged. The rear garden has been completely transformed into a calm oasis with perimeter planters and lots of space for a barbecue. On the first floor, we have three bedrooms and a traditionally inspired family bathroom with a feature wall. The loft space contains a large Bedroom with ensuite. The wide sliding door has also a frameless glass balustrade and overlooks the garden.